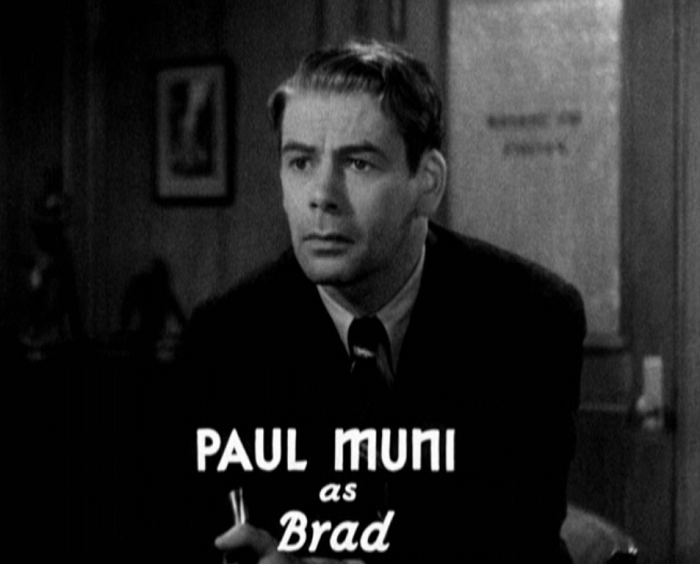 I love Paul Muni. When I was listening to the Attaboy Clarence podcast the other day (as we all should), Muni was noted as the should-be heir to Chaney’s “Man of 1,000 Faces” moniker, an obscenely versatile actor who simply melted into most of his roles, whether it was Scarface or Emile Zola. I say ‘most’ because Hi, Nellie! 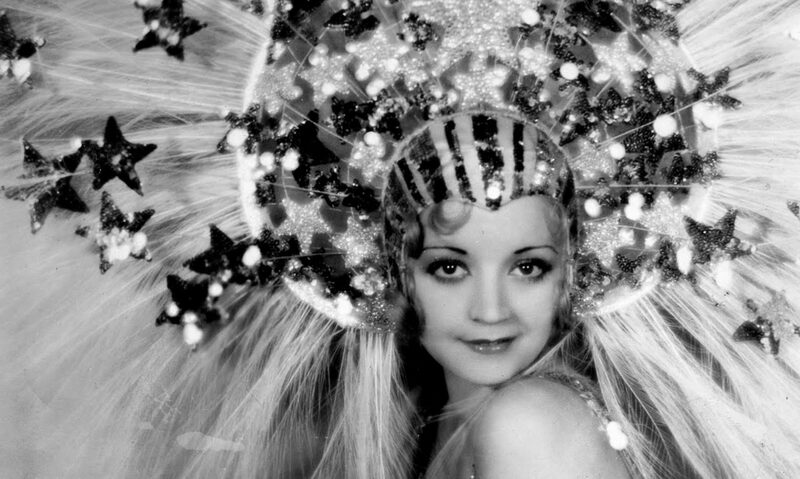 is not the type of role Muni was known for and he stands out noticeably through the film. 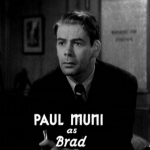 I’ve heard some people think that Muni was miscast– I know Cliff has mentioned it a couple of times– but I don’t think it would stand out so painfully but for one thing. In order to properly play the hard bitten managing newspaper editor in a city of vicious competition, Muni has apparently decided to do his best impersonation of hard bitten character actor Ned Sparks. It would probably work better if Ned Sparks wasn’t third billed. 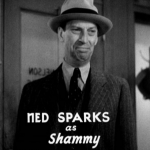 Will the real Ned Sparks please stand up? As it is, you get used to it, and Muni dials it down whenever the two share the screen, which is plentiful by the time the film’s beautifully orchestrated third act rolls in. But let’s step back and hit that plot, since my reviews rarely make much sense without that. Muni plays Sam ‘Brad’ Bradshaw, a hard bitten (have I mentioned that?) editor in charge of a vast, thriving newsroom in New York. 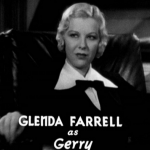 His paper has problems; the city’s political boss (Edward Ellis) and mayor have it out for them, his editorial second-in-command Dawes (Douglas Dumbrille) is bucking for a promotion, and his ex-fling Gerry (Glenda Farrell) keeps begging to be put back on the city beat. 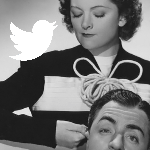 Currently she’s stuck as the romance columnist for a feature retchingly entitled ‘Heart Throbs’. His head’ll be throbbing after this next part. Brad sees her demotion as a fitting punishment for missing a scoop, but soon finds him on the other end of the situation when he refuses to connect a missing corruption investigator with a bank’s collapse. There are receipts showing the investigator took the money and fled, but Brad can’t figure out why such a dedicated crusader would disappear. When his publisher, Graham (Berton Churchill), punishes him for downplaying the story that’s making headlines across the city, he reflects some of Brad’s own justice, putting Dawes in charge of the paper, Gerry back on the city beat, and Brad in charge of Heart Throbs. Brad suffers through about three months of incessant mocking– the pseudonym for the Heart Throbs writer is Nellie Nelson, thus every person in charge of the column gets a mean spirited “Hi, Nellie!” whenever they enter the room– before he snaps. In one of the movie’s more inspired scenes, he heads down to the local speakeasy and drowns his sorrows in whiskey. Gerry, clearly feeling for the guy, gives him a ‘snap out of it’ speech and leaves. Brad turns to her undrank shot of whiskey and consoles it, clumsily trying to etch out some sense of hope for the alcohol he’s about to devour. But it’s also the moment that breaks him out of his stupor, making him realize how he’s been wasting his potential. This allows him to turn the column around and make Nellie Nelson the town’s premiere authority on romance. A further note about the whiskey scene, simply because it’s clearly something Muni wanted in to help him standout in a mostly-ensemble movie. It’s slow and deliberate, a lapping of thought and reason upon the rough seas of drunkenness. Muni’s drunk acting is fine, and that sense of anger as he hits the center of the storm and breaks out of the haze that’s engulfed his life is remarkable. It’s strong stuff, foreshadowing what’s to come. As ‘Heart Throbs’ takes off and Brad pulls himself back together. When a lovelorn woman comes in the office with an address identical to where the anti-corruption crusader was last seen, Brad and his loyal reporter pal Shammy (Ned Sparks) decide to track down the clues and puzzle out what happened to the man. The movie then morphs into one of my favorite genres (though admittedly one I more or less made up): professionals doing their jobs. We’re treated to a clockwork investigation as the two pros connect the missing pieces through deception, careful questioning, and finally playing the city’s boss and some mean looking gangsters against each other in a psuedo-Red Harvest-like finale. The finale of the picture is a lot of fun. Set at the night club of gangster boss Beau Brownell (Robert Barrat), it’s a novelty place with the bar in the middle built into a giant merry-go-round. 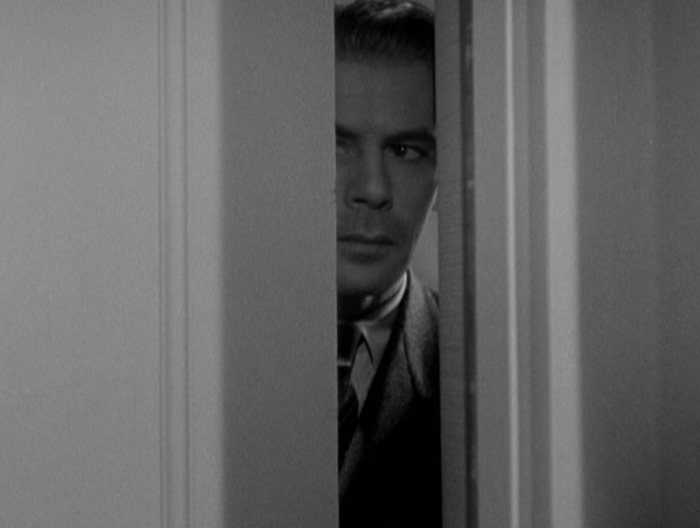 Director Mervyn LeRoy (Gold Diggers of 1933, Three on a Match) makes the most of the centerpiece, using its rotation to reflect the hectic repositioning that the film’s villains do as Brad’s careful poking unwinds their coverup. I think these moments are Muni’s best, where he knows what he’s doing, has the game figured out, and does his best to let it roll out, planning on jumping in just in time to get the story and picture to put on top of the front page. It’s not a plot that’s hard to unwind, but it’s tense in the way Muni plays it, through observation and careful manipulation. And it’s a lot of fun because of it. A newspaper, the old fashioned way. I mentioned that the movie is more of an ensemble movie than Muni’s name at the top would suggest, and that’s because the newspaper here, the Times Star, really does feel like a sprawling, organic organization. 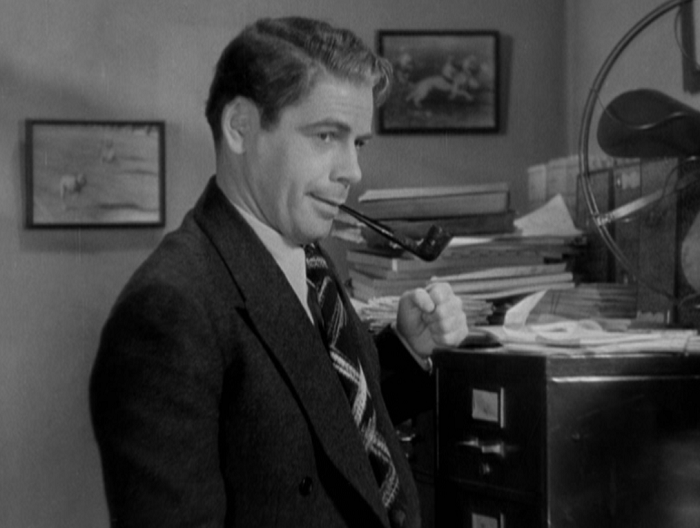 LeRoy packs the movie with familiar faces, from 40-year-old office boy Donald Meek to embezzler George Meeker to thug Harold Huber. 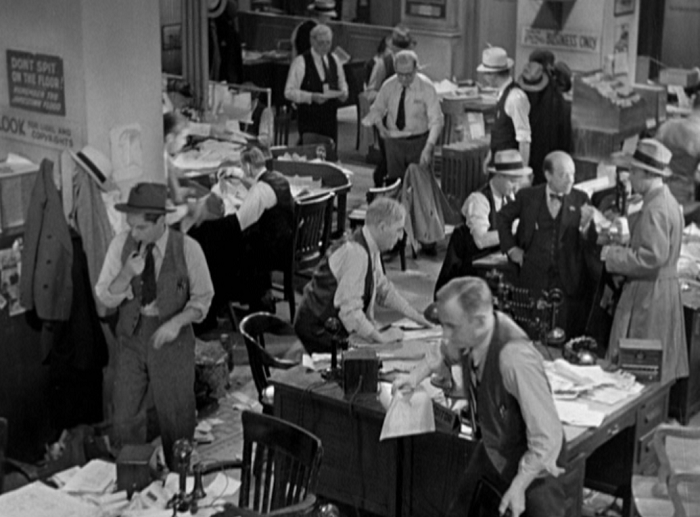 The movie also shows its budget with the sheer number of extras employed in both the newsroom and on the city streets, giving the movie a vibrant feeling throughout. 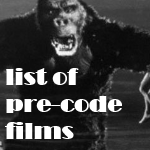 The film has its issues, and I should probably list them for completeness sake. Muni’s performance is a mixed bag, not really gelling until the last act– and he gives way too many speeches with a pipe stuck in his mouth, making him indecipherable. 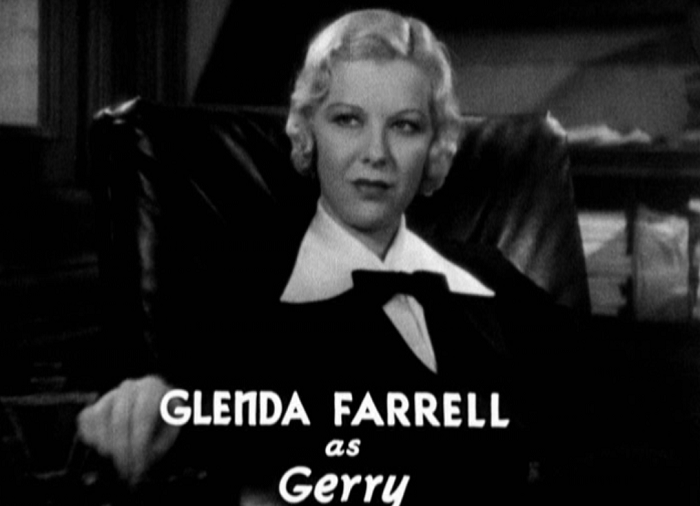 There’s also the issue that Gerry gets sidelined in the film’s final minutes. The ambiguity in her and Brad’s relationship is nice, but her protestations to do her job as a writer still seem unproven when she spends the climax fetching someone rather than taking the same risks Brad is. Here, have a bucket of beer while we work on our Sam and Diane dynamic. But the biggest problem of the movie has to be that it just seems to lack a thoroughline. What is this movie about? I’d say that it’s the basic story of perseverance for working towards what you believe in, but much of the film’s middle is about Brad as Nellie Nelson and not the central mystery. In fact, when the connection to the mystery reappears for the third act, it’s almost a surprise since Brad’s life seemed headed in an entirely different (and completely love letter filled) fate. Though the movie isn’t as smooth as it could be, it still boasts a great cast and some great laughs. Hi, Nellie! 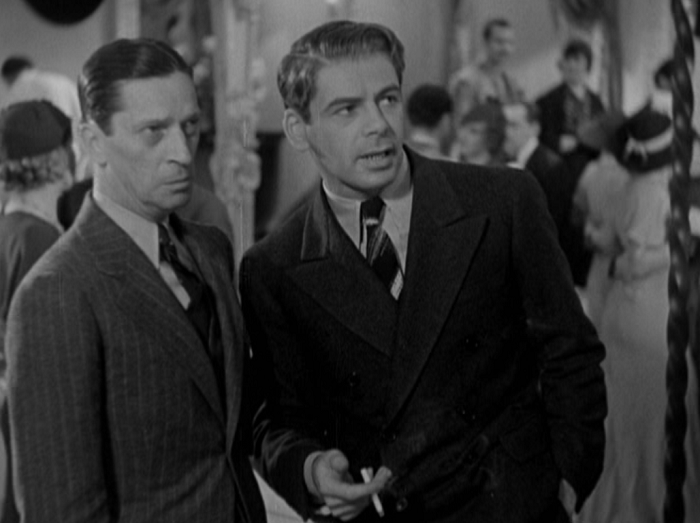 is certainly an outlier in Paul Muni’s career, but in the world of early 1930s newspaper comedies, it fits in perfectly. 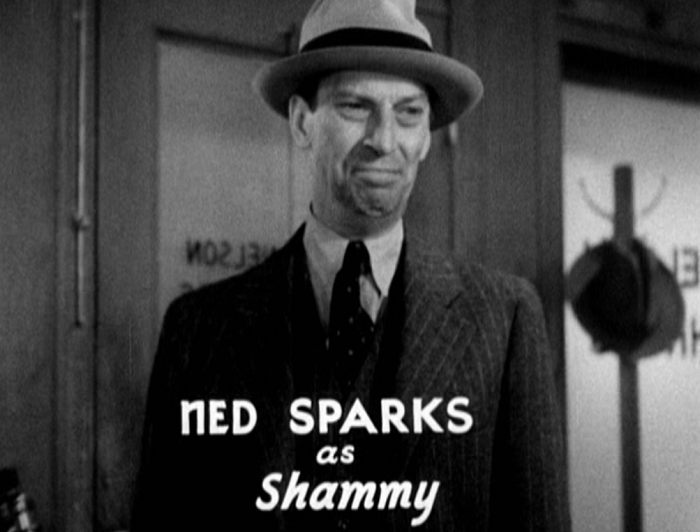 Hollywood gossip columnist Sidney Skolsky makes a cameo appearance in the movie. He is credited for creating the word ‘beefcake’. 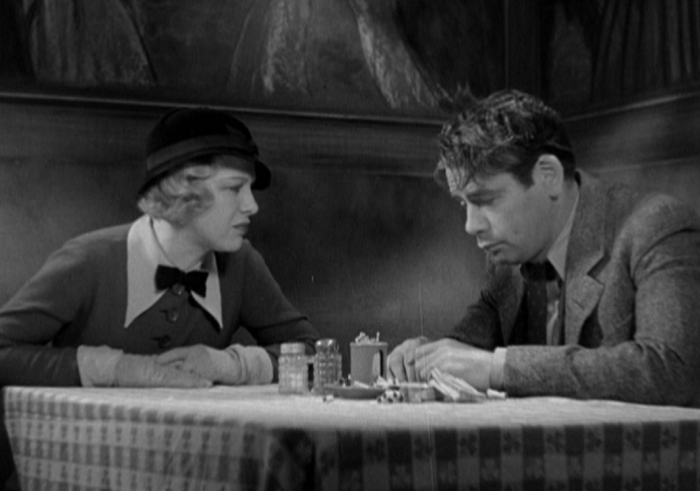 It was Muni’s third collaboration with director Mervyn LeRoy, who first directed him in I Am a Fugitive from a Chain Gang (1932), one of the films that established Muni as a Hollywood star and a serious screen actor. Hi, Nellie! “was an unlikely part for him,” wrote LeRoy in his autobiography, “but he handled it magnificently,” and according to Muni biographer Michael B. Druxman, the actor enjoyed making the picture. 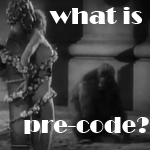 Movie Morlocks gets a couple of things wrong. For instance, the first Torchy Blane movie wasn’t until two years after Hi, Nellie. Also, the amount stolen from the bank in the film was $500,000 and not $60 million. If you’re curious, $500,000 from 1934 in today’s money is about $8.8 million. $60 million in today’s money is $1 billion dollars. Which is slightly different. Ned Sparks is really believable as a reporter. This film is available in the 8th Forbidden Hollywood collection from Warner Archive, which also includes Blonde Crazy, Strangers May Kiss, and Dark Hazard. You can get it from Warner Archive directly or over at Amazon. Thanks to Warner Archive for providing a review copy of the set.